According to the translators’ notes for the updated (“2011”) NIV, “every single change introduced into the committee’s last major revision (the TNIV) relating to inclusive language for humanity was reconsidered.” This is in keeping with an announcement the translators made in 2009. Some people were concerned about this, because they were afraid the translation committee might reverse some of the progress the TNIV made in preserving gender accuracy. From the quick look I took today, it seems that the gender-neutral translations for humanity have largely been preserved. For example, the phrase ashrei adam appears six times. In all six places, the TNIV had “those” for adam, an update from the 1984 “man” in five out of six of the instances. In half of those cases (Psalm 32:2, Psalm 84:16, and Proverbs 28:14), the NIV2011 changes “those” to “the one,” while in the other half (Psalm 84:6(5), Proverbs 3:13(12), and Proverbs 8:34) the newer version retains “those.” I think it’s unfortunate that ashrei adam now enjoys two translations in English, but I think the more important point is that the gender neutrality was preserved in the new NIV. Likewise, Psalm 1:1 with its similar asrei ha-ish is now “one.” It was “those” in the TNIV, and “man” in the older NIV84. In Psalm 147:10, surprisingly, the NIV translators chose “warrior” for ha-ish. I think it’s a mistake, but it still demonstrates a commitment to gender accuracy in translation. This is confusing. Unless the translators think that “man” is gender inclusive, the translation is wrong. But if they do think that “man” is inclusive, it’s not clear why they didn’t use it elsewhere. As expected, the much-anticipated updated NIV went on-line today at Bible Gateway. Notes from the translation committee are available in PDF format here. I ran across Genesis 6:9 in the TNIV, which says “this is the account of Noah and his family.” Ive checked the KJV, NIV, NASB, ESV, Message, Luthers translation (1545), the Amplified Bible, the NLT, and the Leningrad Codex for good measure. Only the TNIV and NLT mention his family. We don’t have a good word for toldot is English (at least, not that I can think of). Though it occurs only about a dozen times in Genesis (and then once in Exodus and once in Ruth) it’s an important word. In a sense, what Genesis is about is toldot. We first encounter the word in Genesis 2:4: “These are the toldot of the heavens and the earth as they were created.” There’s a lot to bicker about in that translation. What follows, though, is what’s widely called “the second account of creation,” so one thing is clear: “generations” makes no sense here. “These are the toldot” introduces the story of creation: heaven, earth, plants, (lack of) rain, etc. There’s nothing about generations there. In Genesis 6:9 we read, “these are the toldot of Noah. Noah was a righteous man in his generation [dorot in Hebrew, not toldot]. 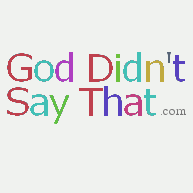 Noah walked with God.” It’s not until the next verse that Noah’s children are listed. The toldot seem to include the fact that Noah was righteous. Genesis 25:19 tells us, “these are the toldot of Isaac, Abraham’s son. Abraham was Isaac’s father.” Particularly after the phrase, “Abraham’s son,” the sentence “Abraham was Isaac’s father” stands out. The toldot here seem to include Isaac’s father, not just his children. More evidence comes from Genesis 37:2: “These are the toldot of Jacob. Joseph, being seventeen years old, was pasturing the flock with his brothers. He was a boy with the sons of Bilhah and Zilpah, his father’s wives. And Joseph brought a bad report of them to their father” (ESV — which uses “generations” for toldot here). Here the word toldot includes particularly what happened with Joseph. The bits of information that come after each person or thing’s toldot have something in common: they are all important for understanding the person or thing. In Genesis 6:9, it’s important to know that “Noah was righteous in his generation” in order to understand Noah. In Genesis 25:19, it’s important to know that Abraham was Isaac’s father; that’s part of who Isaac is. In Genesis 2:4, was follows “the toldot of the heavens and the earth” is important information about their creation. And so forth. The word toldot seems to introduce something important to know. It just so happens that descendants were particularly important in the Bible, so frequently the important bit of information regards children. As for the TNIV’s “account of Noah and his family,” I understand the motivation, but I don’t agree with the translation. The passage is about Noah, even though it mentions his family. By comparison, we might consider two English sentences: “What you have to know about Bill is that he loves sports” and “what you have to know about Bill and sports is that Bill loves sports.” They’re not the same thing, and to take one and render it as the other seems like a mistake to me. At any rate, I think it’s important not to deflate the force of toldot, which is what I see happening in translations that substitute more specific terms for “toldot” or that over-explain the text. Thanks to A.Admin on Aberration blog for pointing out the recently posted FAQ about the revisions to the (T)NIV. Of the 31 questions in the FAQ, 7 are specifically about gender, and another few are about “flashpoints” (their word and their scare quotes) — presumably gender and the word sarx — in the translation. Yet I don’t see any clear division in their answers between “gender inclusivity” and “gender accuracy” (I wrote about the important difference here.) They do say (Answer 5), that “It is not possible at this stage, therefore, to give a definitive answer to the question about the use of gender inclusive language in the new NIV.” But they are also committed (Answer 23), “to accurately translate God’s unchanging word into contemporary English.” It seems to me that that philosophy demands gender accuracy. To me this seems like the wrong way of framing the gender issue (though it might be more helpful regarding technical words like sarx). This approach is potentially important for understanding Question 16: “I am saddened to hear that the TNIV will no longer be in print. […] I certainly hope that the new NIV2011 Bible will lack the divisiveness of its predecessor, but please prayerfully consider the importance of gender-inclusive language, especially in cases where it is actually more faithful to the original text. God used the TNIV to bring me (and I suspect many other thoughtful women) even closer to Himself as I felt him speaking more directly to me as his daughter” (my italics). Q/A 22 restates what we already know. The new translation will not attempt to be a word-for-word translation. The question is, “Who are you to change the language of the Bible? (This is a general question many have asked in polite and not-so-polite ways.) and the answer is “Translators of the Bible are sometimes accused of ‘changing the words of God.’ Guilty: Anyone who translates the Bible changes every one of ‘God’s words’ — because ‘God’s words’ have come to us in Hebrew, Aramaic, and Greek. […] The real question, then, is how best to translate the original words of God into English words.” The answer then explains that the word-for-word approach doesn’t work. Comments like, “Even if you remove the male pronouns, is the Bible not still a patriarchal text?” (from a comment on Rumblings) and observations such as those from Mark Stevens that the T-NIV has been “unfarily criticized” for its gender neutrality make it clear to me that people are using “gender inclusivity” and “gender neutrality” in at least two different ways. Another usage of “gender inclusivity” refers more generally to what we can do if we don’t like the original text, and, in particular, any gender bias we might see in it. While I have my personal opinions on the matter — most of us do — I don’t claim any particular insight into the matter. But it seems to me that we should keep separate the notions of (1) correctly rendering the text (“gender accuracy”); and (2) fixing the text when don’t like it (“gender inclusivity”). Otherwise it will be hard even to talk about either one. With Zondervan’s announcement that the (T)NIV will be updated, the debate about gender, language, and translation is sure to rage anew. According to a report in USA Today (thanks to BBB for noticing), Douglas Moo, chair of the NIV Committee on Bible Translation, promises that the committee will, “review every single gender-related decision” they have made. Gender is a hot topic. Once we agree that some originally gendered language has to be rendered non-gendered in English, we really do have to revisit every decision, hopefully in the light of sound linguistic theory, a topic I’ll turn to soon.